Showing results for tags 'stx'. Thinking of purchasing an rx2. In past I put a 3" wood plug into my stick. Would that be possible with the unique shaft design ? Bauer Vapor and STX Surgeon Protective next releases? Does anyone know when the Vapor protective, and STX Surgeon lines will update? I am in the market for a new pair of elbows, and want to see what these 2 lines have in store prior to making a selection. Presently, I am in the STX Surgeon 500s, and looking to stay in a 3 piece (with closed cell foams, quick dry liner, and compression sleeve). Almost new STX Stallion 500 Hockey Gloves 13" Black. Purchased to perform a review, now that it's done I am selling them: Video of gloves: https://goo.gl/photos/WXADBZfL2a5SKckK9 Feel free to ask for more pics or details. Background: I am 5'10", 195 lbs, I play 1-2 times a week, and coach youth hockey 3-5 times a week. 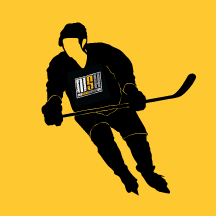 I play in a competitive men's league over the winter in Minnesota, then play in spring/summer leagues. I alternate between using an X88 and X92 style curve on my sticks. It usually depends on the flex and overall feel of the stick to determine which I like better. In this case, the X88 was great. The stick is a 75 flex with the X88 curve. I typically go with an 85 flex, but I wanted to try something a little more flexible when I bought this one. Blade: This wasn't my first, nor will it be my last X88 curve. It matches up well with other brands' curves in that pattern (I currently have a CCM Ribcore in that pattern as well). We'll get into more details in the shooting and stickhandling sections below. Shaft/Flex: The Stallion is more of a mid-flex shaft. I typically use the low kickpoint shafts like the Bauer Vapor, etc. However, this stick got me back to liking the mid kickpoint. Snap and slapshots came off with power, and wristshots have plenty of power as well. With the 75 flex, I could feel the stick load easily. The downside to the flex is that I feel it flex when receiving hard passes. That feels odd to me, and I occasionally have a hard time controlling the puck then. Overall, the 75 flex isn't for me in this stick, but I still liked the stick. Stickhandling/Receiving Passes: The blade controlled the puck well, stickhandling is no issue with this stick. Receiving passes though, the 75 flex would sometimes flex when receiving a hard pass. When the shaft flexes and I'm not expecting it, I could have trouble controlling the puck. Once I figured it out, I did try to catch passes closer to the heel, but it could still happen. Shooting: This is a good shooting stick. Snap and slapshots were easy and smooth. The kickpoint of this stick make those feel natural. Wristshots had plenty of power, I could feel the shaft load up easily. Weight and balance: Pretty light, and well-balanced as well. This stick isn't as light as the lightest sticks out there, but it is close enough. The balance feels great. I really like the feel of this stick. Durability: The downside, I used this stick for about 6 months before it broke. Not that it was used any harder than other sticks I use, but I blocked a shot with it, and that broke a chunk off on the inside of the stick. It didn't take long after that before it started to crack and finally broke. Intangibles: It's a nice looking stick. Personally, I like the all black with yellow graphics. High contrast, and you know what you are looking at. Some of the other brands are less distinct, this is a pretty distinctive look. Conclusion: Nice overall stick, if I were to buy it again, I'd get an 85 flex and probably go with the X92 curve. I'm not likely to buy one again though simply due to worries about durability. I've used plenty of other sticks that lasted longer than the STX did taking more slashes and blocked shots. Final score: 5/10, decent stick with durability worries in my mind. Stick specs- STX Surgeon RX2.1, 85 flex, X88 pattern Reviewer Background- 6'2, 215 lbs, limited experience in ice hockey (1 year playing on a team in 1988-1989). I have played a bit of street hockey (very informal/ casual 2 v 2 mostly, sometimes with a goalie, in the front yard when I was a kid). I played some inline hockey- more than ice, way less than I played street. Took up ice hockey again in August 2013, after a long layoff (I played 3 months of pick up, in 1995-1996). I have used this stick 2-3x/week for about 5 months. I bought this stick for 2 reasons: 1) I wanted to try the PureGrip shaft design, and 2) I thought this to be an excellent value stick. The RX2 weights 425 grams, this one weighs 455 grams, for about half the price, with the same blade. So, seems to be a no brainer, until someone else tells me that they want to sponsor me and buy my sticks. Blade - The blade has a nice feel to it. It is thinner than the last blade that I was using (a BASE Hockey blade that I had connected to a shaft), which I like. It seems strong and stiff, but I assume it flexes appropriately when I shoot. I never tried to flex it with my hands; no need to compromise the integrity of it I suppose. The blade itself is neither dampened nor lively. The blade does feel easy to stickhandle with, but it is hard to say if that is due to how easy it is to handle the PureGrip shaft, or the blade itself. The puck does not seem to come off the blade terribly "hot." It is ok, I have scored my share of goals, but I attribute it more to accurate shots (on the occasions that I actually have hit the target) and goalie screens, than to me blasting shots by goalies who are made inefficient due to my blistering shot. The blade has held up well, durability wise. So, although there is nothing about the blade that has me saying, "This is the best blade ever!," I also cannot find fault with it. Score: 8.75/10 Shaft/Flex - This is where it gets interesting. PureGrip technology is epic, for a guy who has mostly played street and inline hockey. One of the more difficult aspects of the game to adjust to for me has been squeezing the shaft to receive passes and shoot. This is not necessary in street hockey when one is using the rubber ball. So, for the first year or so of my comeback, I did not even know about this necessity of squeezing the shaft when working with these aspects of the game. Still, I often do not squeeze the shaft hard enough, even when I remember to perform this action, when using a traditional shaft, as evidenced by the stick deflecting in my hands to flub shots and pass receptions. However, with the PureGrip, I no longer have these issues. I pretty much successfully receive all passes now, unless I mis align the blade, or the puck is bouncing, but neither of these items are the fault of the stick. The dual kick point is another "interesting" feature. I am not yet as sold on it, as I am on the PureGrip. Sure, I score goals, get shots off quickly, and get hard shots- usually not all 3 at the same time though (and I am faaaaaaaaaar from a good player, just saying I have experienced some limited success). It seems that in order to get this aspect of the stick to work with the user, one would need a ton of reps to figure the sweet spots in hand placement and shot type. Regardless, it works well enough, while just using it in an intuitive manner. Although it does not kick as quick or hard, usually, as my Warrior Covert QR Pro, it does, on occasion, kick similarly, when I apparently use the stick in the manner it was meant to be used (or when I get lucky or whatever is happening). Flex is a bit stiff. I was in an 85, and am moving into a 75 tomorrow. Perhaps this is more me than the stick, and I am just coming to awareness of where I ought to be (after having been confused by a number of factors- such as the Oggie Ergo grip adding so much flex when I had previously installed it on other sticks, and since I used a chippy stick previously anyway- the Warrior Covert QR Pro). Score: 10/10 (I am now pretty useless when I use other sticks, as the deflection factor is now more pronounced when I try to take big shots, and receive hard passes.) Stickhandling/receiving passes - like butter, as described above (due to the shaft geometry working seamlessly with the contour of the hand) Score: 10/10 Shooting - Shooting is just ok. I have great control with the shaft, but the kick just seems ok. This could be due to my being in a curve that I have just recently found to be a bit crippling (P88). I am moving into the P28, to be able to shoot off of the toe. Perhaps this will improve this score in the future, and is actually no fault of the stick. So, figure this score to be somewhere between a 7 and a 10; we will see how the next 6 months go. Weight and balance - For the price? 10/10. However, since value is not factored into these ratings, the stick does feel a bit heavier than my QR Pro- nothing enormous, but noticeable. The weight is nicely balanced, though. Score: 8/10. Durability - I have blocked some pretty hard shots at the neck of the stick, thinking as the shot hit, “Why the heck am I blocking shots in pick-up with a $160 stick, in a country that does not sell this stick?” To my surprise, no damage. I have noticed some nicks, that I have filled with epoxy to reinforce. Score: 9.25/10 Intangibles - I cannot go back to standard shaft geometry (again, unless someone wants to sponsor me and try to pry me away from the PureGrip). Score: 10/10 Conclusion - Love the concept, and looking forward to trying a new flex (75) and pattern (X28) in this stick (STX Surgeon RX2.1). I have a vision of my leaning on this technology to bridge the gap between myself and more skilled and experienced players. It may be a fantasy, maybe I am giving too much undue credit to the stick? Perhaps, I will provide another update in 3-6 months. Score: 56/60 Granted, a lot of this close to perfection achievement is due to how much I appreciate the PureGrip. If you have been playing a ton of hockey, are used to the box shaft geometry and may find the new feel to be distracting or unhelpful, then I would not advise this stick. If, however, you are a bit of a newb or more accustomed to street/inline hockey with a lighter puck (ball), then do yourself a favor and pick this stick up (just sample it; but do not buy unless you are feeling it) at the pro shop, and see if you like it. I've been using Bauer Vapor XVI(13inches) and CCM CL (14inches). They do fit fine but would prefer something less volume. STX Surgeon seem to be super slim fitting but how do they actually fit? How do you like them? Any information would be appreciated! Thanks! 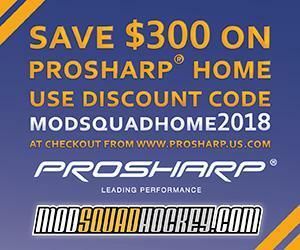 http://modsquadhockey.com/forums/index.php/files/file/187-2015-stx-hockey-catalogue/ In 2014, STX released a line of high-end sticks and gloves, and now have continued to round out their lines by adding a protective category to it. Protective - Just like with sticks and gloves, the Surgeon and Stallion lines are distinct with each other and play into the stories STX has been telling with each line. The Surgeon series is their "Precision Fit", which is an anatomical, sleeker fit. On the Surgeon 500 shoulder pad, it's all foam. Every bit of it is foam. But, some pretty cool features - the bicep pads don't have straps; it has a sleeve in which you slip your arm into. And on the bottom of the shoulder pad chest area, they have tabs that stick on top of the strap, providing a tighter fit and zero interference with the jersey sticking to the end of the strap. The Stallion is their "Power Fit" which means it is a more rugged pad. The padding is fuller, including more padding in the collarbone and ribs, and the sternum and spine plate is much bigger than what is on the Surgeon. The bicep pad is a two-piece pad as well, that can be adjusted for length. On the elbow pad front, the Surgeon is a 3 piece elbow pad and the Stallion is a 2-piece. Both feature the 360+ Strap, which is the bottom strap of the low pad - it goes completely around the forearm. The Surgeon has a full-length spandex sleeve, whereas the Stallion has a half-length sleeve. The Stallion does have additional protection in the forearm area, because, you know, rugged. The shins are also completely different. The Surgeon is going to be a bit tapered by design, and comprised entirely of foam. The 360+ strap wraps completely around the pad right below the knee, and has a neoprene strap that splits for two attachment points over the calf wing. The Stallion is wider and more of a traditional fit. Still has the 360+ Strap, however, has something very interesting - a cut-resistant sleeve. In this age of players getting cut behind the shin pad, that's a pretty cool feature. On the 300 series protective, you're still maintaining the same fit stories, however, the foams are down spec'd to less high-density foam (more EVA foam) but the 360+ Strap is still present. http://modsquadhockey.com/forums/index.php/files/file/185-2014-stx-stickglove-catalogue/ Gloves - STX is launching their glove line to complement their sticks. Continuing with their 2-family concept, they have two models in the Surgeon and Stallion 500. Starting with their Stallion line, which is what you would consider a "traditional" glove. Instead of doing a strictly traditional glove in the Stallion and a strictly anatomical glove in the Surgeon, they are actually right in the middle of those two fits with a tapered feel - essentially choosing the middle ground. Both gloves are the same spec-wise; dual density foam with PE inserts, a Clarino palm, their Dri-Lex moisture wicking liner and stretch mesh gussets. The new technologies that STX is offering is their Cable-Flex thumb, which consists of the thumb piece attached by a cable that runs along the side (if it's hard to picture, picture the binding of the thumb - the cable goes around the piece like that), allowing it to fully move forward, yet lock if hyperextended. Yes - I can touch the palm with the thumb - without using my fingers to pull it down. The range of motion story doesn't end there. The other feature is their M² Knuckle. Instead of stitching the fingers down in the knuckle break, it's actually open there, allowing for more forward range of motion. You can actually fold your entire fingers over and touch the end of your palm. The Surgeon is a bit more anatomical in the back of the hand. This is the Surgeon back cuff... ...as opposed to the Stallion. 5 colors to start, from 12" to 15". Sticks - Two more sticks in each family to round out the line. On both the Surgeon and the Stallion, there will now be a 300 and 100 model. The 300 is down-spec'd to a carbon fiber shaft (as opposed to 12k on the 500) and the 100 to a carbon/fiberglass mix. However, what is intriguing is that throughout all models, the blade is the exact spec - so you're getting the same blade that is on the 500 on the 100. The 300 in both models will retail for $149.99 and the 100 will retail at $99.99 - so you're not seeing a strictly entry-level offering at this time. The gloves and sticks will launch in November. http://www.modsquadhockey.com/forums/index.php/files/file/179-2014-stx-catalogue/ I will be getting stick samples soon so that I can touch on the sticks.